If you thought Apple was going to follow what others are doing for smartwatches, you couldn’t have been more wrong. Or, at least, that’s what the iTime patent that the Cupertino-based company was granted is having us believe. 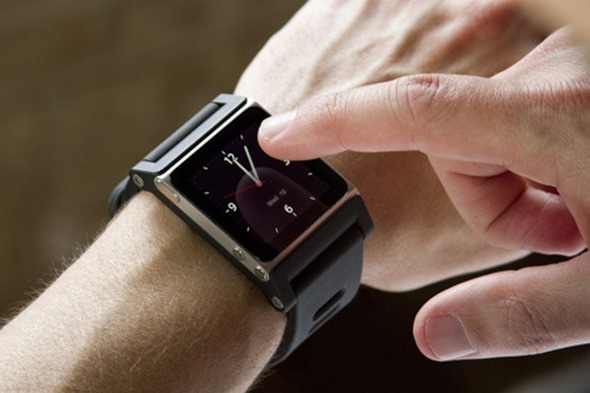 The patent, as the name suggests, appears to be for a smartphone connected watch that doesn’t restrict itself to serving notifications from the accompanying device – it offers advanced features such as proximity sensing, wrist and arm gestures, GPS positioning and much more. Looking at the patent, it appears that Apple plans on achieving this high-level of functionality and features courtesy of sensors embedded in the watch strap. What it also indicates is that the users will be able to swap straps for different features, depending on what they’re after. The strap will feature GPS, haptic feedback, gesture sensing (extending to arm and wrist movement), and wireless communication. The device is comprised to two distinct components, each lending its own bit to the overall feature set. Apart from the aforementioned smart strap, the body of the iTime itself appears to feature an iPod nano like touchscreen media player, which we’re absolutely certain that will carry much superior tech than its look-alike sibling, even if the patent doesn’t really shed more light on it. On the connectivity front, the patent outlines a “personal wireless network” that will enable communication and data sharing with the connected iPhone, iPod touch, iPad, or even computer. What the mode of this communication will be, we’re not entirely sure. 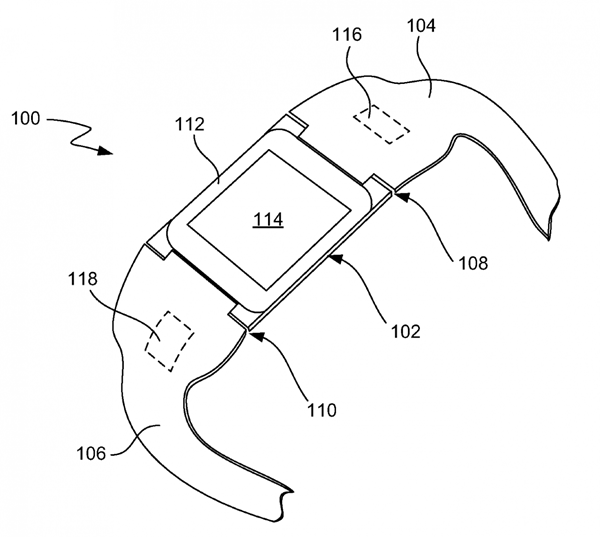 Also, the patent refers to the device as being a wrist phone, which might indicate some form of cellular connectivity as well, although its practical implications yet remain unknown. 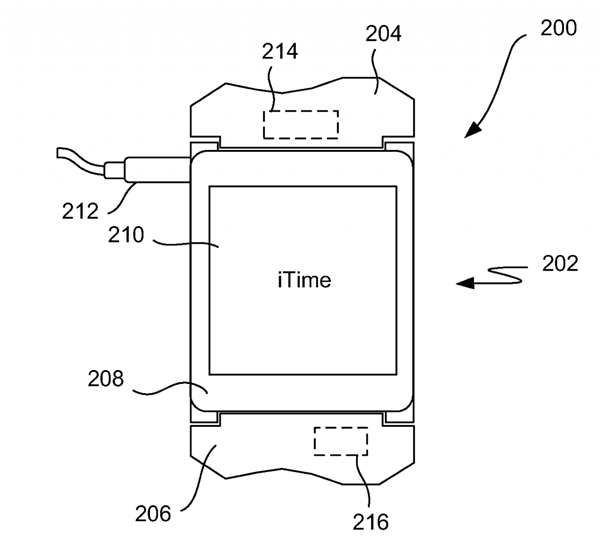 Should the iTime patent be indicative of anything, it shows that Apple’s different approach towards putting the sensors in the wrist band might actually pay off. Not only does it help production costs and efficiency, but also puts more control in the user’s hands with respect to what functionality they’re after. Of course, it’s not clear whether this is the rumored iWatch that we’ve all been so anxiously waiting for – it might be that this device is something entirely different that Apple is working on – but it’s exciting, and sure has the potential to give Android Wear a run for its money.